Shanghai, China and Paris, France (July 19, 2018) – Ymagis Group, the specialist in digital technologies for the film industry, and Chinese cinema systems integrator Great Ocean today announced the successful opening of the first EclairColor HDR (High Dynamic Range) auditorium in China as part of a new multiplex in the city of RuiAn with cinema exhibitor Bestar Cinemas. The EclairColor technology is a key component of a new premium large format (PLF) concept labeled STARX and boasts a 22-meter wide screen, 600 seats and a Sony Digital Cinema 4K SRX-R515QS quad-system projector. Shanghai Bestar Cinemas Management Co. Ltd. is a subsidiary of Future Land Holdings Co. Ltd., (HK Code: 01030.HK), giving full play to abundant capital and project management capability. 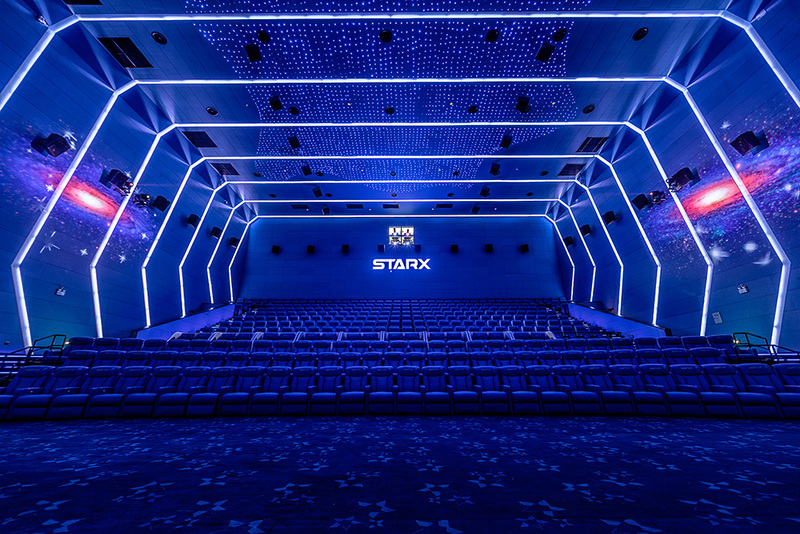 Relying on a sophisticated theater management team, the world’s most cutting-edge film equipment, and working with the best theater design team in Asia, it will construct and operate more than 50 high-end, innovative studios within three years. With an investment of 3 billion RMB within five years, it will construct and operate 100 high-end, innovative cinemas. More than half of its cinemas will be installed with IMAX theaters.